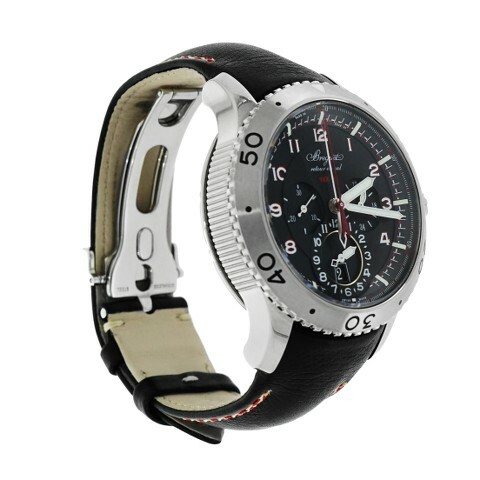 TimeZone : TZ Showcase » FS: Excellent Breguet Transatlantique Type XXII Flyback Chronograph. 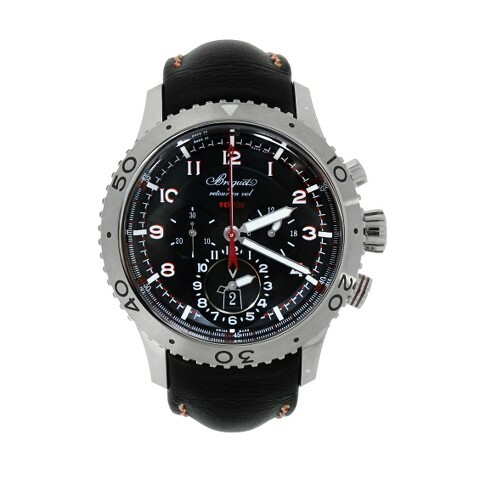 Excellent pre- owned Breguet Transatlantique Type XXII Flyback chronograph, 44 mm stainless steel case with a black leather strap. Uni-directional rotating bezel. 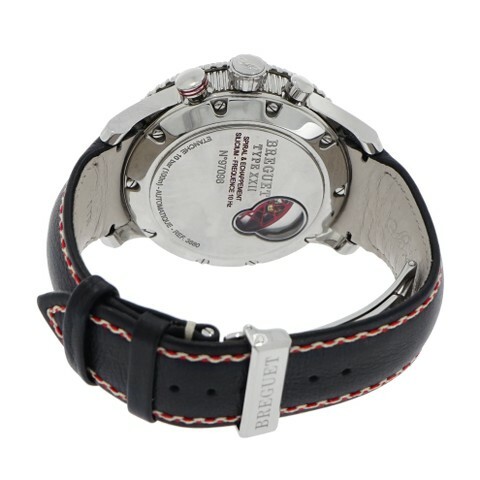 Black dial with luminous hands and Arabic numeral hour markers, Luminescent hands and markers. Date display at the 6 o'clock position. Three - 12 hour 30 minute and 24 hour. Automatic movement. Breguet caliber 589 f, Scratch resistant sapphire crystal. Screw down crow,.Deployant clasp. Water resistant at 100 meters / 330 feet. 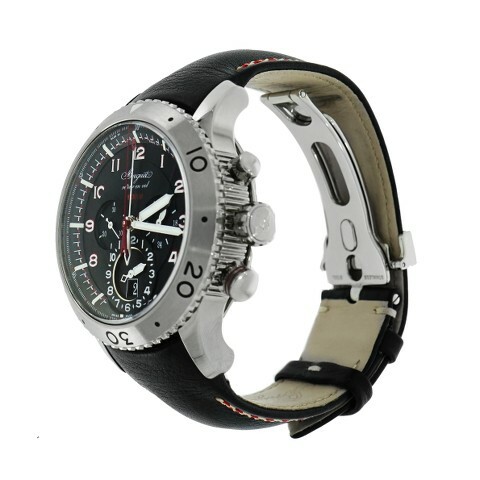 Functions: GMT, second time zone, hour, minute, second. 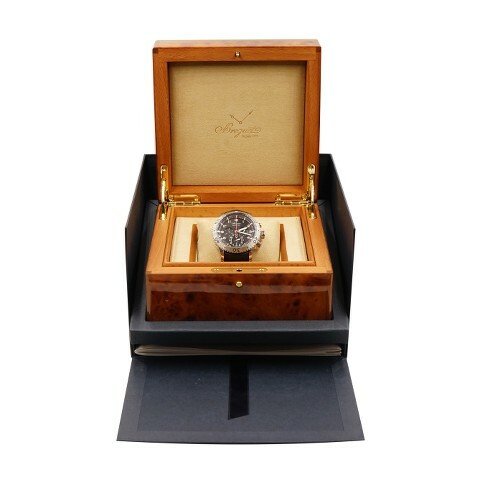 This watch comes with original Breguet Box only. Previous Topic: FS: Excellent Blancpain Villeret Ultra Slim in Stainless Steel.